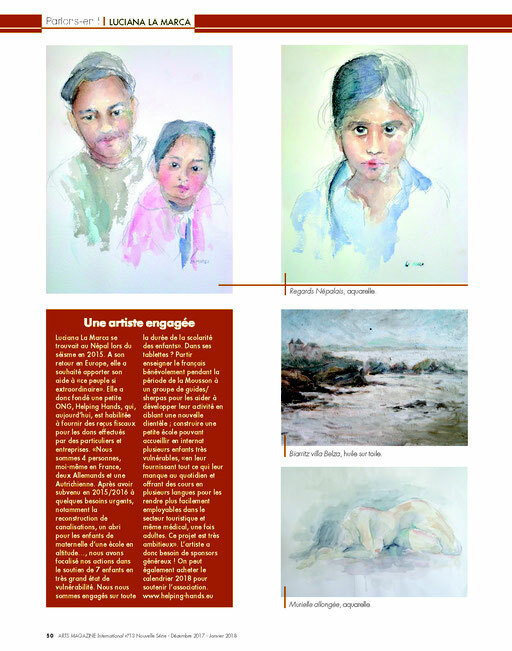 Article about us in the "Arts Magazine International" - nepalproject1s Webseite! 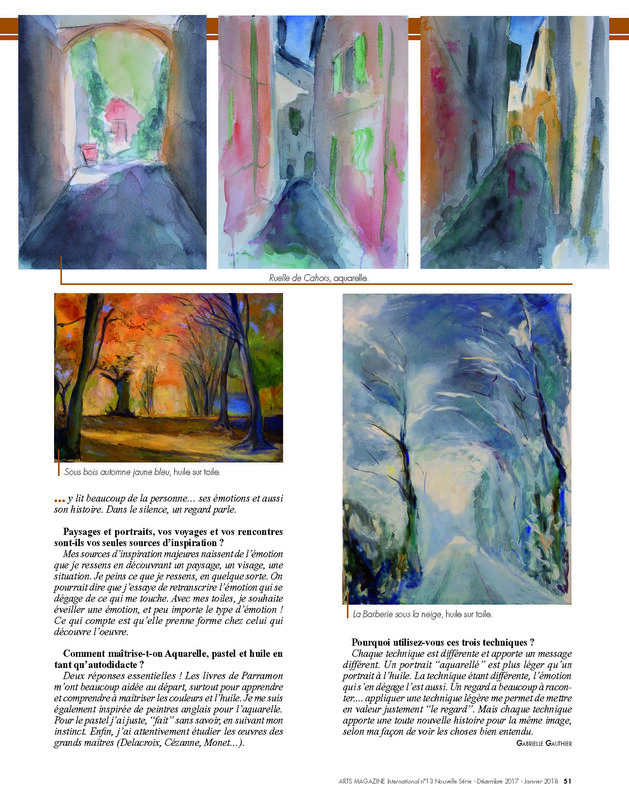 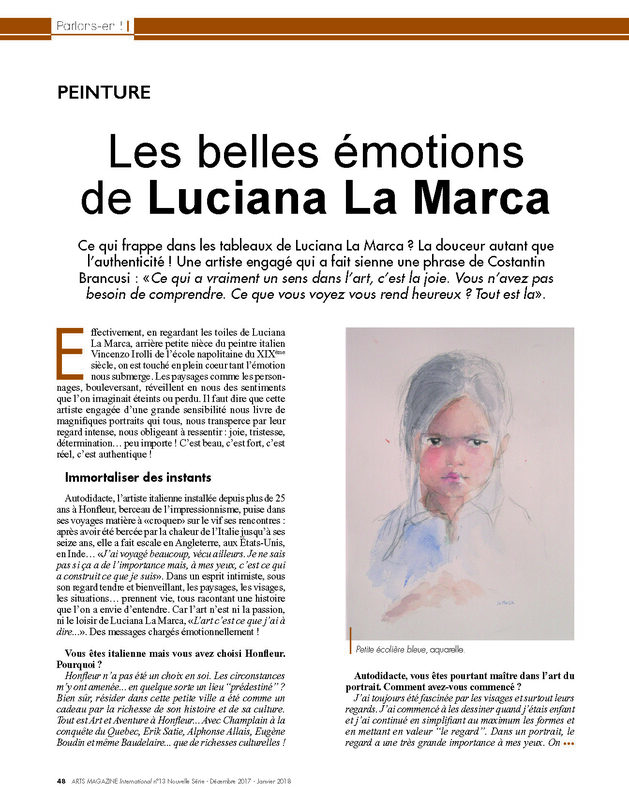 Article about us in the "Arts Magazine International"
Le travail artistique de Luciana a été publié dans l'édition de décembre 2017/janvier 2018 de Arts Magazine International. 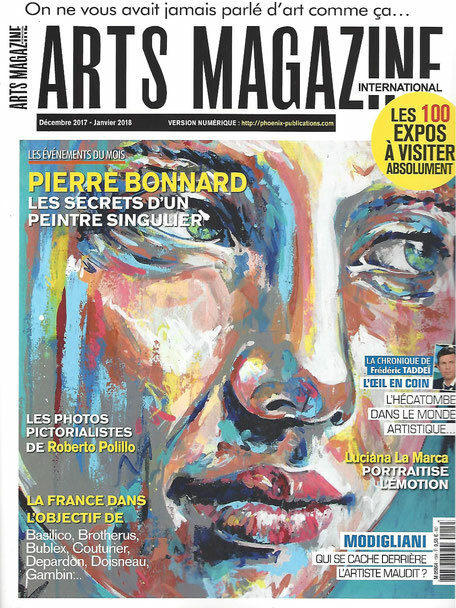 La rédactrice en chef a dédié une partie de l'article à Helping Hands. 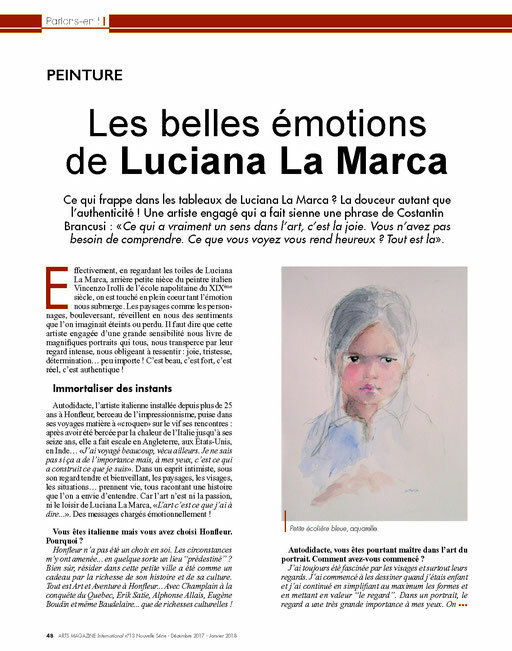 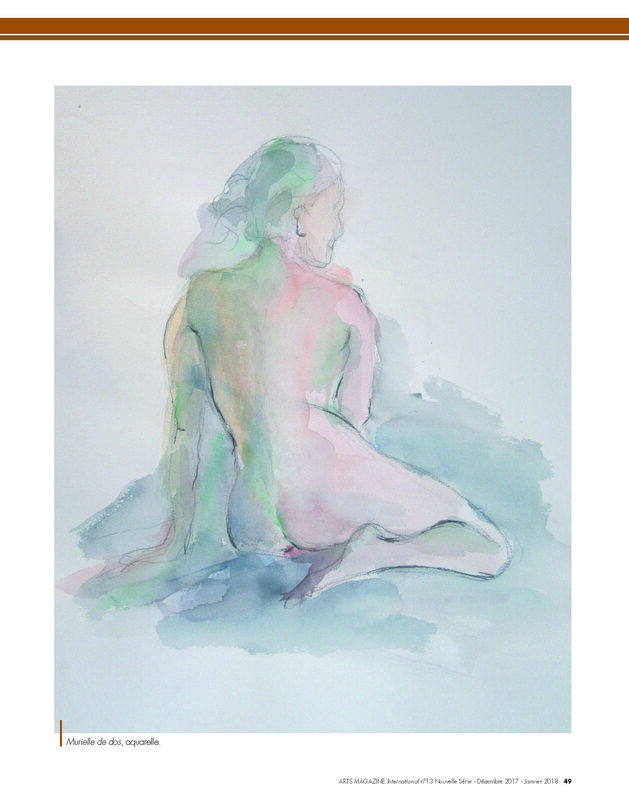 "Luciana La Marcas artwork was published in the Arts Magazine International, (December 2017 and January 2018 edition). 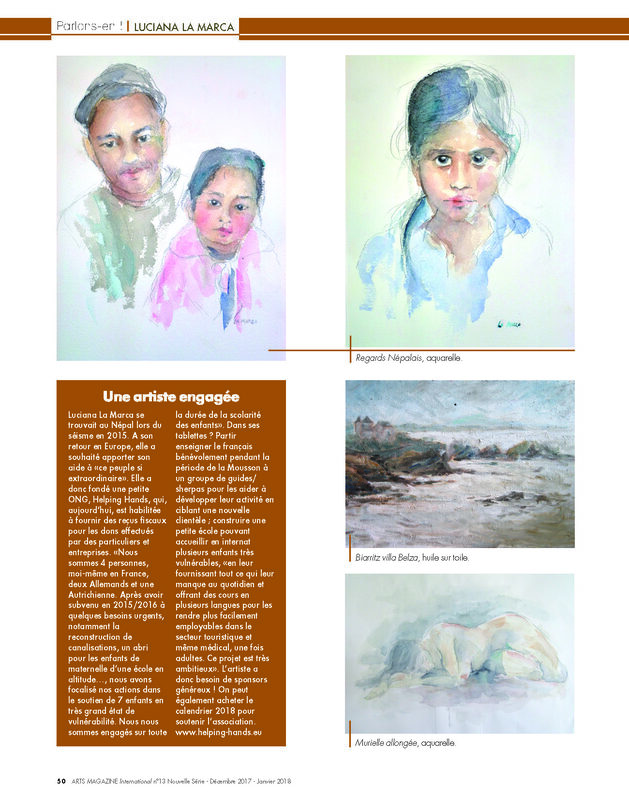 The editor-in-chief included a part in which Helping Hands and its projects was mentioned. 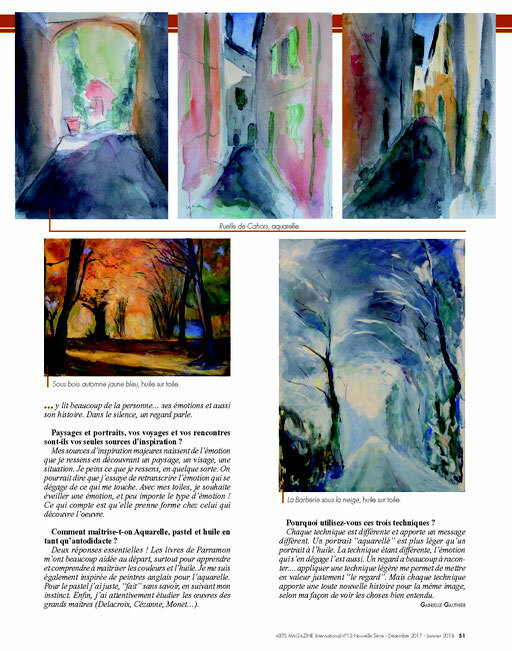 This is a real bonus since the magazine is distributed to over 100 000 people in France which means that it might provide more funds for our children.... "
We would like to thank the publisher and the editor in chief to get that wonderful possibility to inform more people about our little scholarship project!